A great for a special person of any age! Extra special work! 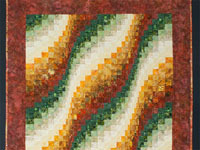 Bargello quilts, inspired originally by a traditional needlepoint stitch, are popular as a contemporary design. Instead of embroidery stitches, simple rectangular blocks of colored fabric, which appear to gradually shift in size and placement, imitate the needlework pattern. 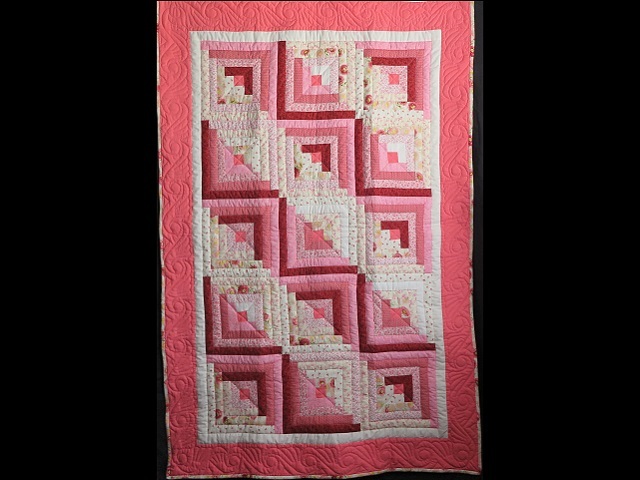 Varying widths of pieced blocks from a 1/4 inch sliver to a sturdy 2 inch block produce a gradual wave, sloping and shifting from left to right. By selecting mutely colored fabrics, C Jean Horst shifted the colors gently. Cascading lines of fine quilting further enhance the image. 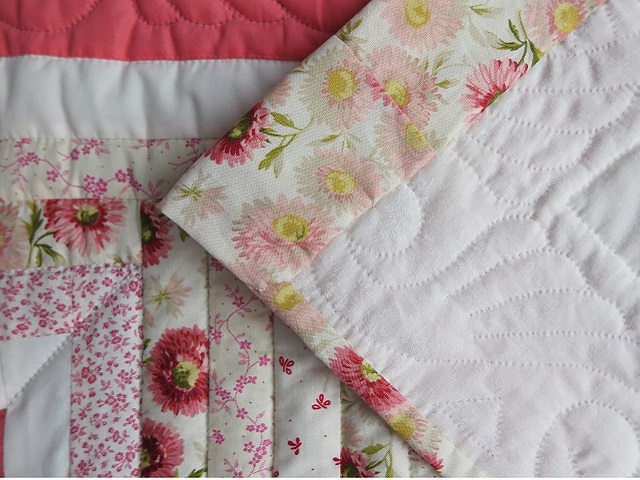 Beautifully pieced and quilted with 8 stitches per inch and every row quilted. A masterpiece! The backing is a beautiful batik that matches the binding ages. A sleeve is added so that it could be hung as shown. 100% Cotton fabrics. A great size for a wall attraction. 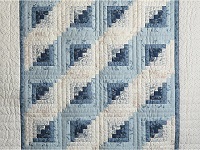 A classic log cabin quilt in lovely shades of blue. 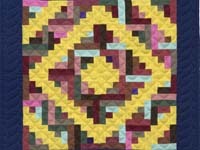 Perfect for a crib quilt or wall hanging. The fabrics blend together beautifully. None of the prints are overly floral with most being a leafy print. 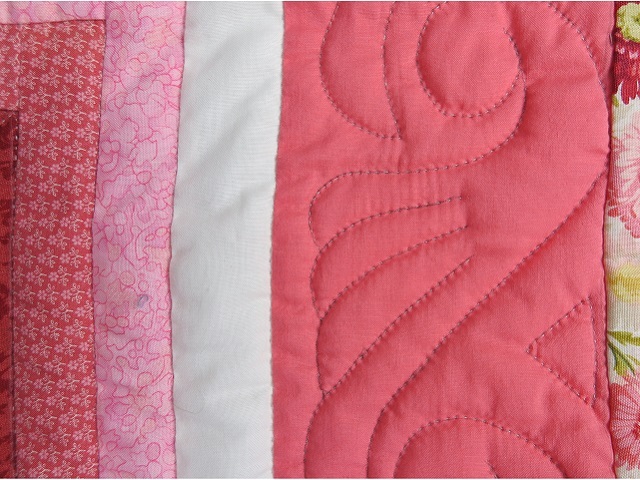 The back of the quilt is covered with the same dot fabric as used on the border. 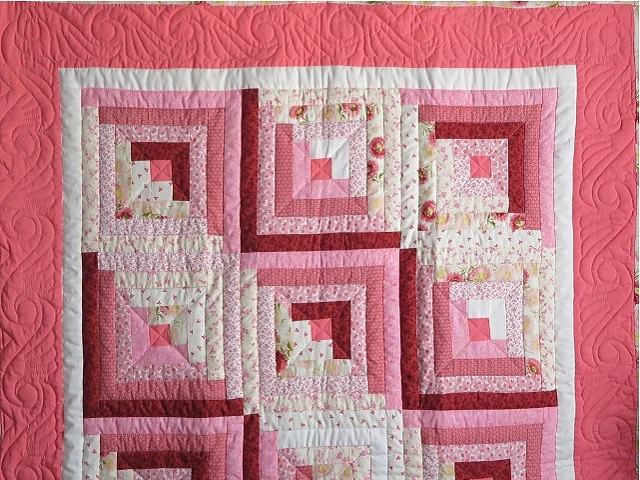 Well made by Pennsylvania Mennonite quilt maker, Connie Lapp, and delicately hand quilted by a Mennonite friend. 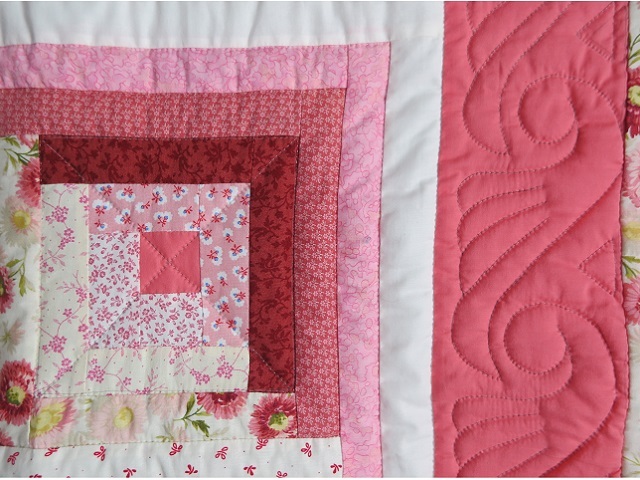 This quilt is sure to be a treasured heirloom!